To answer the question, it helps to have an understanding of the design goals for each module. The Adwords Conversion Optimizer, the Budget Optimizer and Acquisio’s Campaign Automation all control MaxCPC bidding, but for different purposes. Adwords Budget Optimizer’s main job is to make sure you spend your monthly campaign budget. It does this by increasing bids, which also increases impressions and probably clicks. In the end Google makes more money and the client pays for the perceived improved performance. There is no regard for conversions or profitability with the Budget Optimizer enabled, but you can be assured that you will probably spend all the money the client said he can afford. For some agencies, this may be all that really counts, but the next options add considerably more value for the advertiser. Adword’s Conversion Optimizer, as the name suggests, attempts to deliver your ads in situations where conversions are most likely to occur – thereby increasing conversions counts and reducing cost per conversion. It recommends a CPA based on past campaign performance and generally does a good job of delivering sales and reducing costs across an entire campaign. Its greatest weakness, however, is that it does not take ROAS (Return on Ad Spend) into account. In an effort to maximize overall conversion counts, the Conversion Optimizer may sacrifice more profitable product sales that have a lower volume, in favor of less profitable product sales that have a higher volume. In other words, your conversion counts may increase, but not necessarily your profits. Adwords optimizers also can only look at Adwords conversion counts. If your campaigns make use of other external conversion metrics, such as external trackers, Google Analytics, or call performance, the Adwords Conversion Optimizer has no usable metrics to analyze. Most people write a rule in Acquisio to increase bids for some keywords and decrease bids for others. Acquisio rules and algorithms can look at the Cost per Conversion, but using conversion count metrics that are not even visible to Adwords. Using these metrics for cost control, and then applying other conditions that examine ROAS, Bid Rules may prevent a bid from being increased when Adwords would allow it. At the same time, they may increase bids on more profitable products when Adwords would reduce them. Over time, you can modify a rule to maximize performance and then copy that completely customized rule to other campaigns or clients, performing client-specific tweaks to your rules when you do. 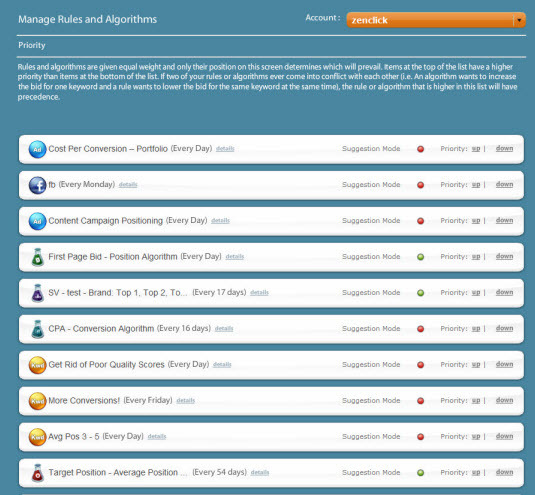 For agencies that prefer not to invest the time in developing customized rules, Acquisio’s algorithms that target CPA or ROAS can also be a valuable and easy to implement alternative. They offer the simplicity of the Adwords Conversion Optimizer, but with the added flexibility of Acquisio’s larger choice of conversion and ROAS metrics. Finally, be aware that the use of Adwords Conversion Optimizer automatically disables other Adwords features, such as Advanced Ad Scheduling and separate content bids. 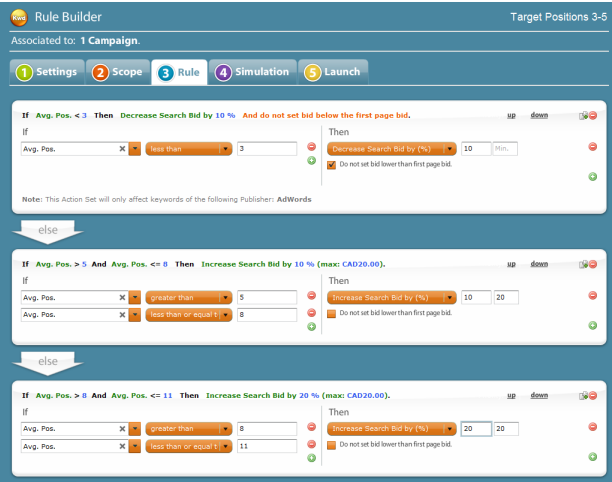 Acquisio’s Campaign Automation module also will not operate on a campaign where the Conversion Optimizer is enabled. This behavior is by design, to avoid conflicts between two bid management applications. When a campaign is managed by Acquisio’s bid rules, though, you will always have the option of manually adjusting your bids, and can even reject outright some of the campaign automation suggestions if you desire. 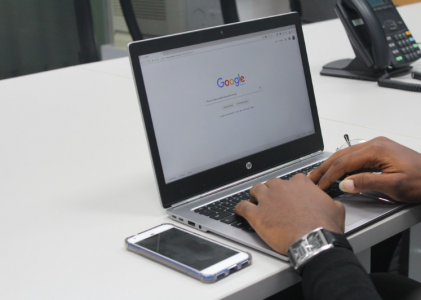 So here’s the bottom line: If you are managing Adwords campaigns and if you are tracking Adwords conversions and if you want a click-and-forget way to maximize the conversion rate, then the Adwords Conversion Optimizer will quietly do that one job and do it well. 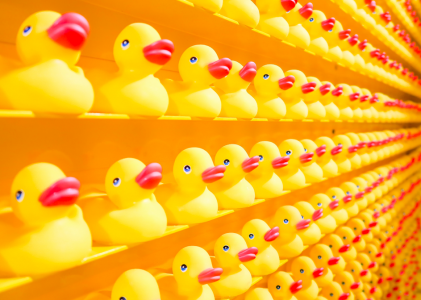 If your campaigns are spread across multiple publishers, if you don’t track pure conversions as a performance metric, or if you also want to examine ROAS, or if the performance metrics that you use come from other sources, then the only viable tool to juggle all that data on a daily basis is Acquisio’s Campaign Automation.